We did it! My sister and I became market vendor’s for the first time on Saturday. It was such a great time. We of course learned little things we will do differently this Saturday. 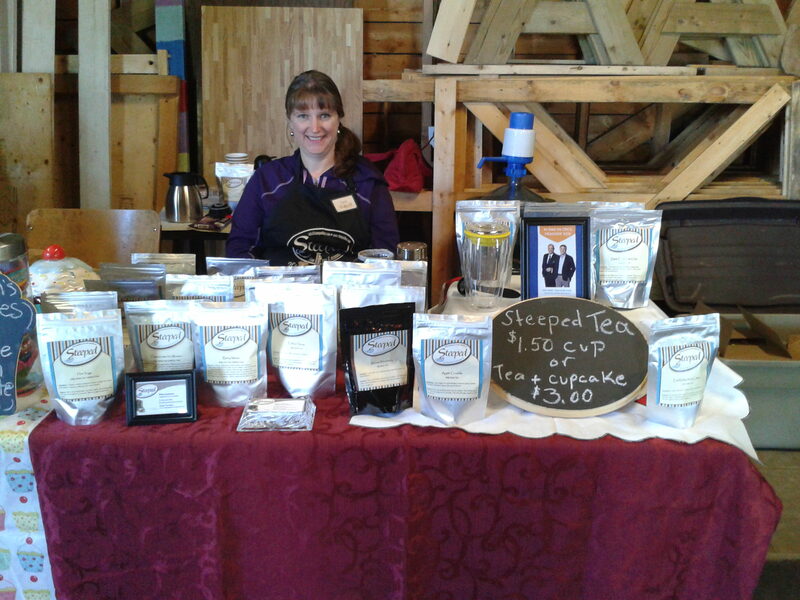 I sold homemade cupcakes and she is selling Steeped Tea. We are trying it out for 4 weeks and we will see if we continue. A little bit about the market we are now taking part. The Windsor Farmer’s Market is located on the water front in Windsor, NS. It is a small market where you will find super friendly vendors with great products. 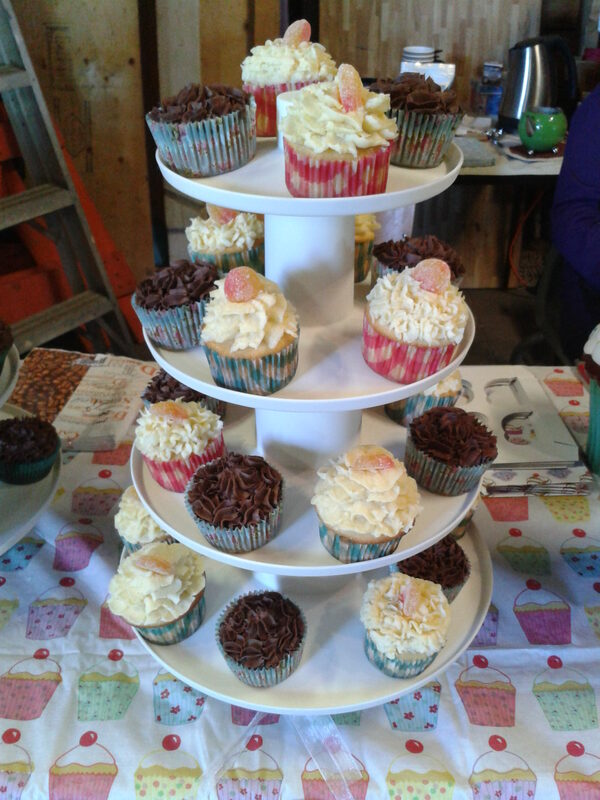 Everything from Sarah’s homemade preserves, to veggies, jewellery and so much more! 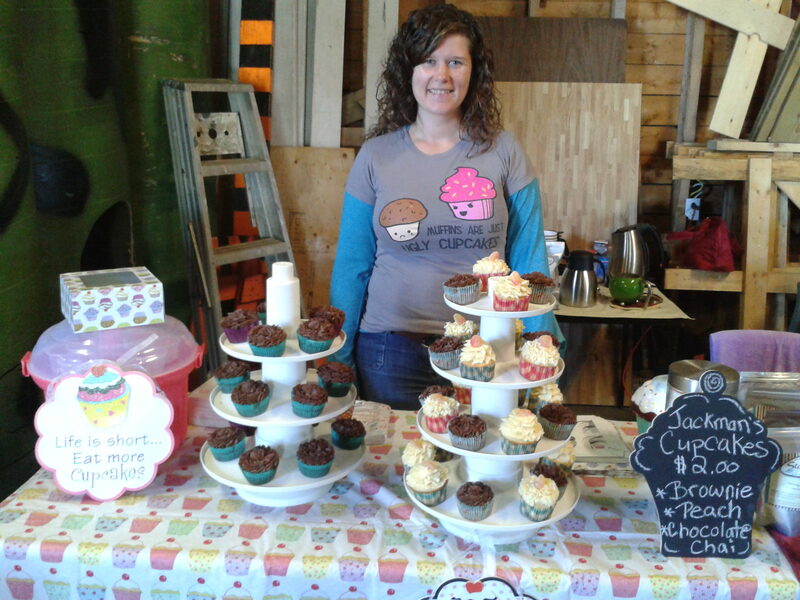 Me with delicious homemade cupcakes! If you are close to the area, you really should come check it out. Not because I’m there, but because we all should be supporting local farmer’s markets and those selling there. You can find out more about the Windsor Farmer’s Market on the website. Although, you are better off checking out their FB page or following them on Twitter. FB and Twitter is updated more regularly then the website. 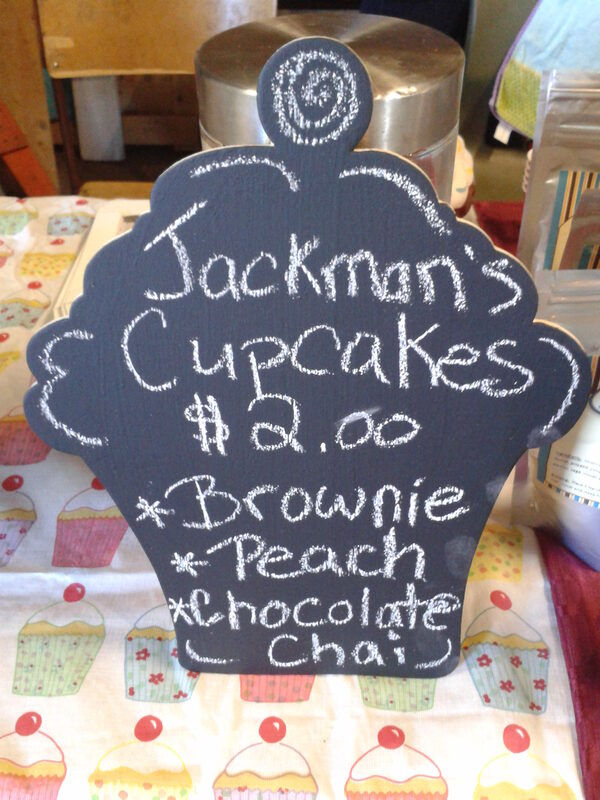 What a great morning of meeting wonderful people at the market, time spent with my sister, and enjoying people’s reactions to chocolate brownie cupcakes, peach cupcakes, and chocolate chai cupcakes! I would say time well spent! I took along 43 cupcakes and only brought home 10. 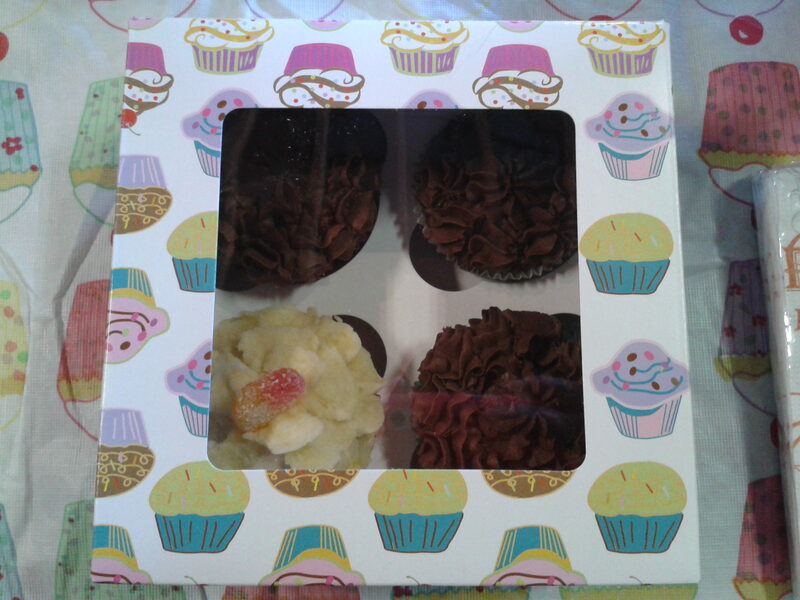 My First box of cupcakes I sold! Chocolate Brownie – brownie cupcake with chocolate buttercream frosting. 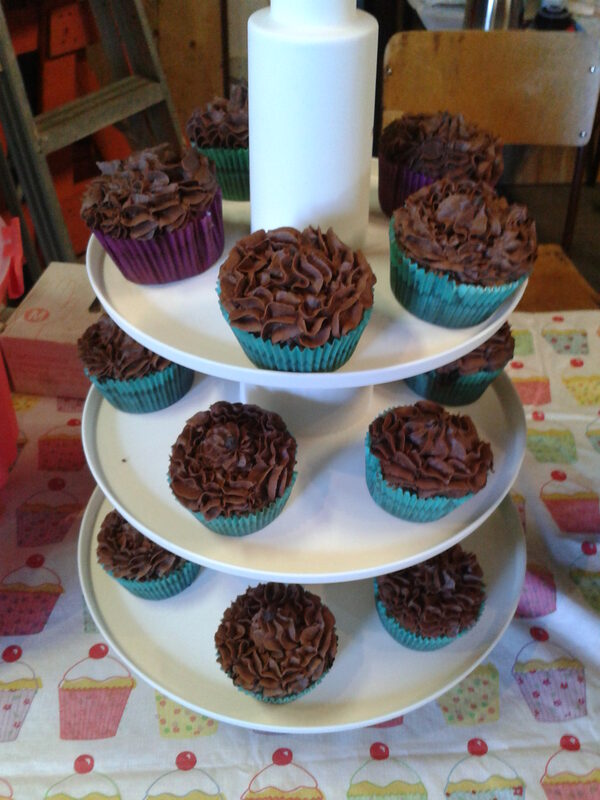 This will be at the market every week as it was the best seller and a chocolate lover’s dream! Chocolate Brownie Cupcakes – A Chocolate lovers dream! If it is not in stalk, get it ordered in for the next Saturday. Check out her website to see what flavours and products are available. Be sure to come visit us at the Windsor Farmer’s Market if you are in the area. They look DELICIOUS! I love, love, love your chalkboard cupcake sign! I would totally travel from Califorinia to Nova Scotia for a cup of tea and a cupcake from your booth. Good luck to you both. I hope it proves successful. And YES! we should all support our local markets.